Biology is studied as a separate science from Year 8. The total provision for Biology at Key Stage 3 is 2 periods per week. Pupils are allocated homework as described in the homework timetable consisting of one homework each week. Pupils will be given one spelling test on new key words associated with each topic. The words appear on the front of each topic booklet. At the end of each topic there will be a unit test. Winter exams will cover topic 1 and part of topic 2 for each year group. Summer exams will cover topics 1, 2, 3 and 4 for each year group. Year 8, 9 and 10 follow a broad and balanced scheme of work over a three year period. In the first three years at Regent House pupils will receive two periods each week (1 hour 10 minutes). Pupils can then opt to study Art and Design and/or Moving Image to GCSE level. Further studies in Art and Design and Additional Art and Design are available at AS and A2 level. 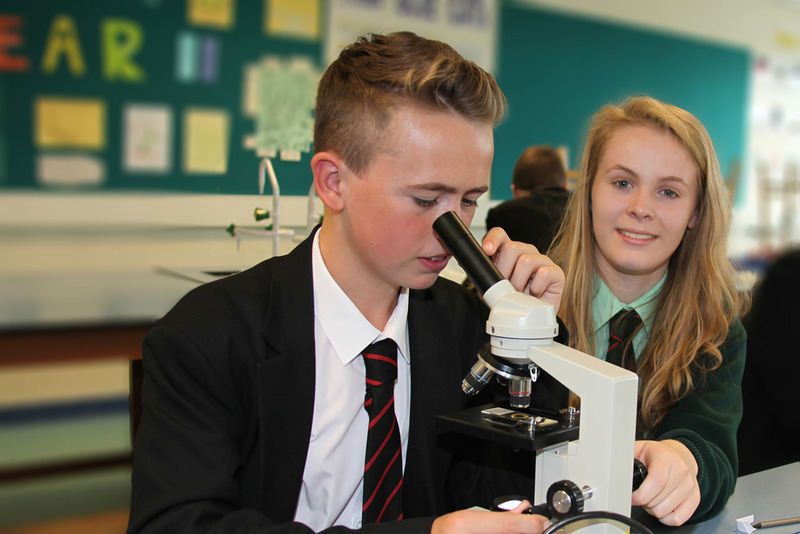 The total provision for Biology at Key Stage 4 is 5/5 periods per week. Pupils study the CCEA GCSE Biology specification. Pupils will sit external examinations at the end of Year 12 in Unit 1 (35%), Unit 2 (40%) and Unit3 (Booklet A (7.5% consisting of two externally marked practicals completed between January and May of the Y12 academic year) and Booklet B (17.5% consisting of an external written examination). Pupils will be provided with a minimum number of past papers by their teacher and are expected as independent learners to visit the CCEA website to download past papers and mark schemes to complete at home. Grade A*, A at GCSE. Grade A*A* or AA in Double Award Science at GCSE. Interest in the further study of Biology as a subject. Interest in gaining a qualification for entry to higher education in a biological subject or non-biological subject. COURSE CONTENT: Pupils can take the AS course as a final qualification or the AS units plus the A2 units for a full GCE A Level qualification. The course is organised into six assessment units. All six are externally assessed with two of these involving an element of internal assessment. The topics in each unit are organised in a logical sequence, building on previous knowledge and understanding as appropriate. Key practical tasks and the mathematical skills required are clearly identified. Assessment at A2 includes more question types, more demanding evaluative tasks, extended writing and synoptic assessment that encourages students to develop their understanding of the subject as a whole. The first year leads to a qualification in Advanced Subsidiary (AS) Biology and the second year to the full A level qualification. The full Advanced GCE is based on a student’s marks from AS (40%) and A2 (60%). The AS course is divided into three units: AS 1, AS 2 and AS 3. AS 3 Practical Skills in AS Biology. A2 1 Physiology, Coordination and Control and Ecosystems. A2 2 Biochemistry, Genetics and Evolutionary trends.